Abusing the talents of others cont. Earlier on, I posted about Rich doing voice work for me. 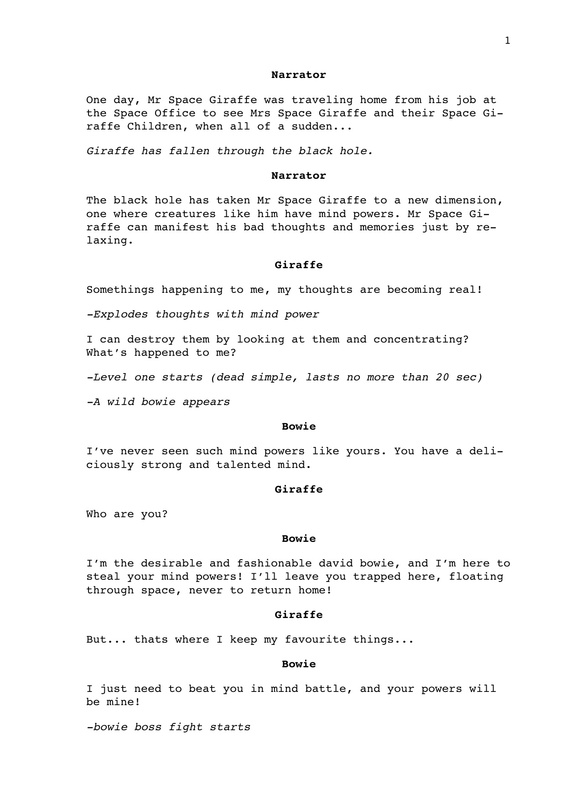 After he sent me that sample, I decided that I needed to get the intro animation done pretty quickly, so I wrote up the script for what I needed Rich to say (he has the parts of space giraffe and space Bowie, I have the part of the narrator) and sent them to him. Rich, being the fantastic sport he is, sent the voice work back to me a day later. 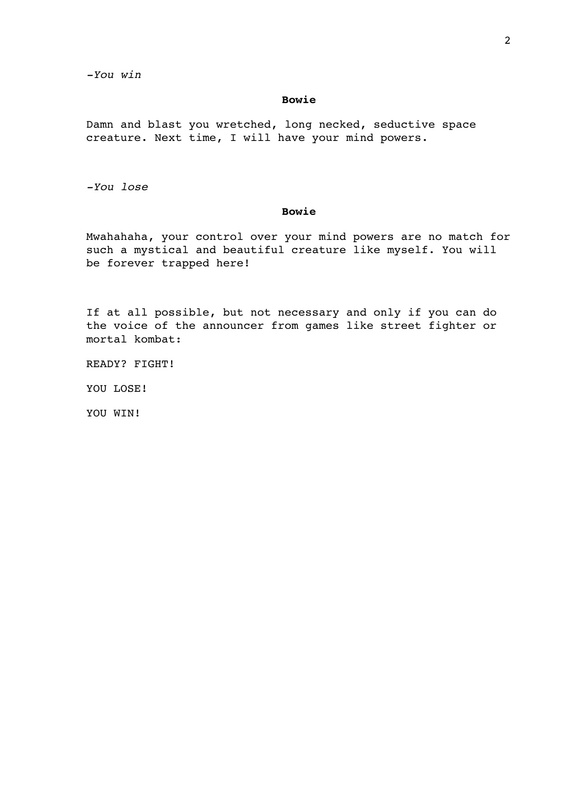 I’ve spliced the audio together and added in my part so you can hear how the game will sound. 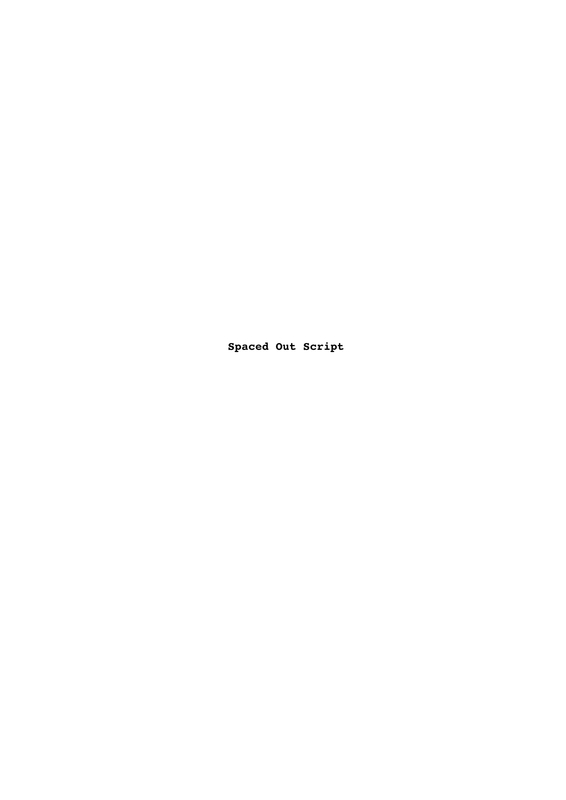 And here is the script that I sent Rich, as you can see, he stuck very closely to the script, but yet made it his own. I particularly like how Rich sang all of Bowies lines, I think thats a very nice touch that really adds to the bizzaro world game that I’m creating. ← Abusing the talents of others.